Now fully engaged in his second term as Governor, Phil Bryant has the political winds at his back. Having dispatched a feckless Democratic Party nominee with ease in 2015, he was able to help in down-ticket races. As a result, he will be graced with a legislative super majority for the next three years. Two decades ago, a second term governor having that kind of political tail wind would have been unthinkable but to a few. The opportunity he has over the balance of his second term as Governor is as enormous as the responsibility that comes with that sort of political control. He has a once in a generation opportunity to do big things and reform government in Mississippi and set a course that could last for decades. There are still real issues. K-12 education is improving with policies like 3rd Grade Reading Gate, but K-12 funding remains an annual blood sport in the Legislature. Scandal and mismanagement at some agencies like Corrections and DPS are still sore spots. There have undoubtedly been big economic wins like Continental Tire, Winston Plywood, and Yokohama under his watch. However, the economy in Mississippi as well as throughout the rest of the country hasn’t set any records. 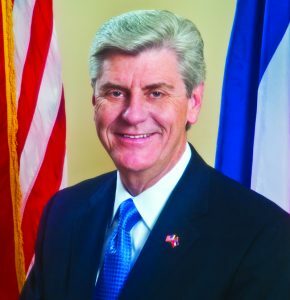 With two terms as Lieutenant Governor and two terms as Governor, Bryant will undoubtedly be recognized as one of the more consequential political figures in Mississippi in the last half-century.